UltraWeave armor is one of the best outfits in Horizon Zero Dawn. As the game puts it, it’s a set of experimental personal armor, with nano-fiber construction and an inlaid microprojector network. It’s tied to the Ancient Armory side quest, and it seems like it won’t be easy to obtain. 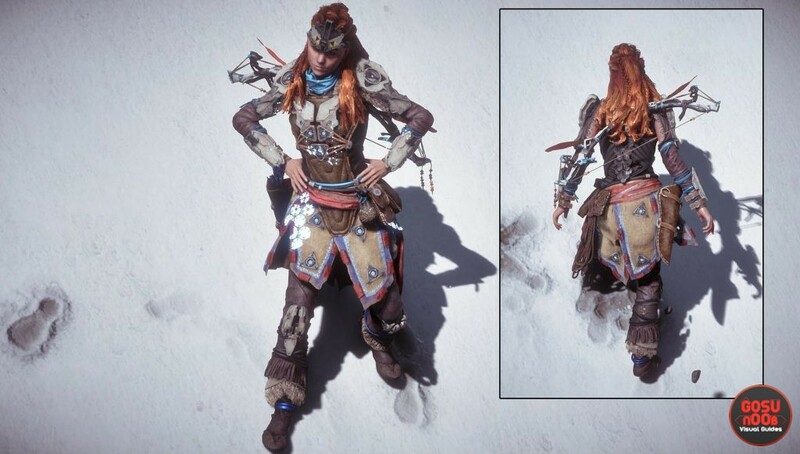 This guide is going to show you the how to get UltraWeave armor in Horizon Zero Dawn, what it looks like and its stats. UPDATE: In order to get the armor, you’ll need to collect the 5 power cells. When you’ve got them, you’ll have to get to the bunker with the armor, and solve some holo-lock puzzles. After that, you’ll get the famed Shield-Weaver armor. ORIGINAL TEXT: We’ve seen the armor encountered in a video a while ago. It was hidden in a cave near the Devil’s Thirst ancient ruins. There was a high tech facility inside the cave, which Alloy said was built by the Old Ones. When she entered the cave, she encountered a glass enclosure with a fancy outfit inside. As soon as she inspected it with her scanning gadget, we learned it was in fact the Ultra Weave armor. She immediately got a side quest called Ancient Armory, which is probably tied to getting past the bulletproof glass. There’s a heavy bunker door that leads inside. It is further protected by a holo lock (the game describes it as an electromagnetic security mechanism with standard holographic UI). There’s also a code nexus nearby, which shows the required settings for the holo locks. Alloy comments about the Old Ones using numbers like the ones on the nexus to indicate time. The holo locks seem to be missing something, though – the scanner informs Alloy that the interface is unavailable. The video doesn’t show much apart from the name of the quest, so we don’t know how difficult it will be. The game might lead you through the whole ordeal by the hand, but it could also just leave you alone and let you figure it all out yourself. We’ll have more info when the game’s out, which is when we’ll update this guide.